I am very excited to announce that I will be presenting a paper at the 2014 The Philological Association of the Carolinas meeting in March! The conference covers a broad scope of literary, film, and performance studies so my paper comparing the French play King Ubu to South Park should fit right in! 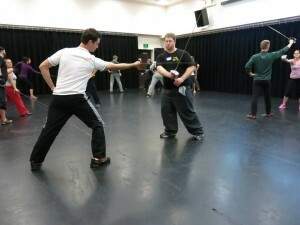 I am very excited to be attending The Tourist Trap SAFD-certified stage combat workshop this weekend at UCF! It looks to be a great time. 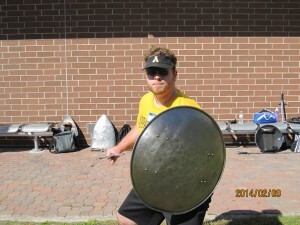 I can get training in knife, sword and shield, staff, unarmed, and even tomahawk! It looks to be a great, but tiring time. 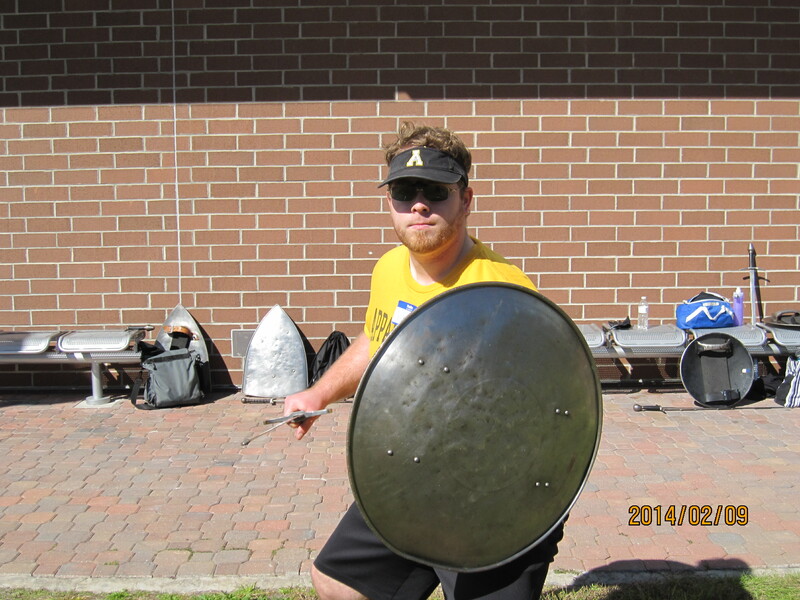 UPDATE: Here’s a pic of me after the outdoor Sword and Shield class and a pic of me in the Single Sword class.